Vacation Rentals close to Sequims quaint downtown restaurants, coffee houses and gift shops as well as local beaches, Lavender Farms and Parks. Vacation Rentals close to Port Angeless bustling downtown gift shops, coffee houses, Marina and ferry to Victoria, B. C. as well as the first entrance to Olympic National Park at Hurricane Ridge. Vacation Rental locations west of Port Angeles including properties on Indian Creek, Freshwater Bay and the Sol Duc River. Enjoy visiting the many areas of the North Olympic Peninsula and Olympic National Park from these wonderful homes. We love your pet too! 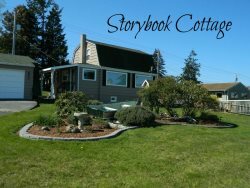 Enjoy your vacation with your beloved friend in one of these great pet friendly vacation rentals located in Sequim and Port Angeles.